This statistic displays the total Facebook interactions for the United Kingdom newsbrand the Mirror from January 2014 to September 2014 in thousands. 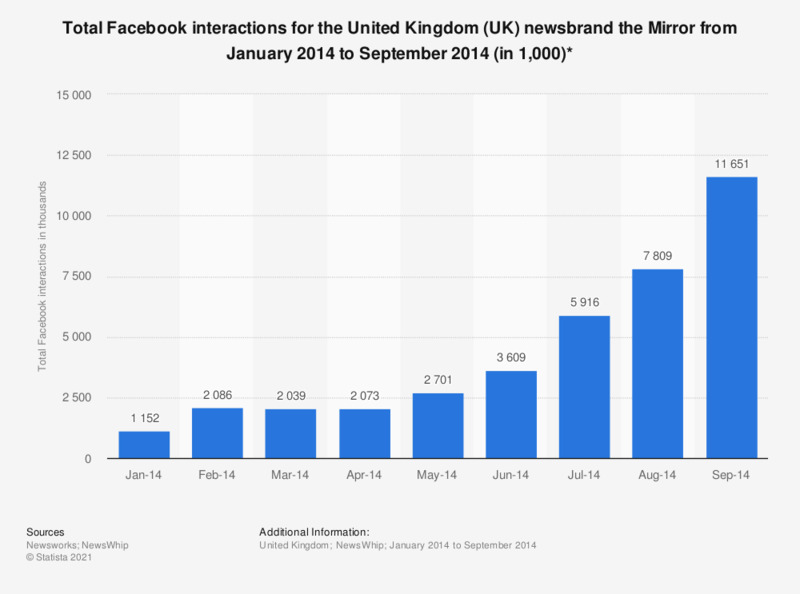 In September 2014, there were roughly 11.7 million Facebook interactions for the Mirror. * Facebook interactions according to the source: Facebook likes, shares & comments.